Religions are nothing but a set of rules made for the human beings so that they can follow the rules and live a peaceful life. Religion advices us the good things to be followed, while living in this world. Cultures offer us the way to enjoy life. The cultural festivals of a region are passed on from one generation to the other. These cultural festivals normally have a base of a religious faith and some relation with the regions culture. The cultural festivals from different parts of the world are just amazing. Some of the festivals are pure entertainment while few others seem to be strange. Whatever is the way of celebration these cultural festivals provide a enjoying atmosphere to the participants. In this article we will have a look at the major cultural festivals like Spain’s tomato throwing festival, Carnivals of Brazil, Bull fight of Spain, Losar in Tibet, Mardi Gras in USA, and Songkran Water Festival in Thailand. Spain is popular worldwide for its strange festivals like tomato throwing festival and the bull fight festival. The Tomato Throwing Festival is popular in Italy and Spain. Truck loads of tomatoes are used for celebrating this festival. Valencia in Spain is more popular for the tomato festival in which the roads become red with the crushed tomatoes and huge crowds come on the streets to enjoy this festival by throwing tomatoes on each other. La Tomatina, is a week long festival of music, food, drinking, and general partying held at thirty miles from Valencia. Another popular festival in Spain is Bull fighting which is having its origin in the historic times. It is a fearful still very popular event. A bull is first brought into the ring and a white and magenta cape is waved in front of the bull. By doing this the bull gets charged. As soon as the bull comes in an attacking mood a trumpet is sounded and several fighters called Picadors pierce pointed spears to cheer up the bull. When another trumpet is sounded the Matador or the bull fighter guarantees the president or the crowd about the sure death of the bull. The matador is awarded trophies by the president after he wins the fight. are the energetic celebrations and the display of electrifying energy shown by the participants. The major attractions are the Samba dancers, cracking music and mass partying at Rio de Janeiro. 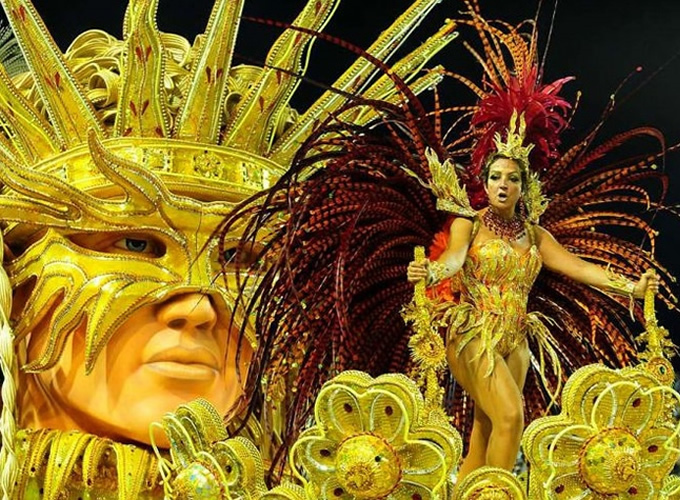 Brazil gets immersed in the celebrations during the carnivals. 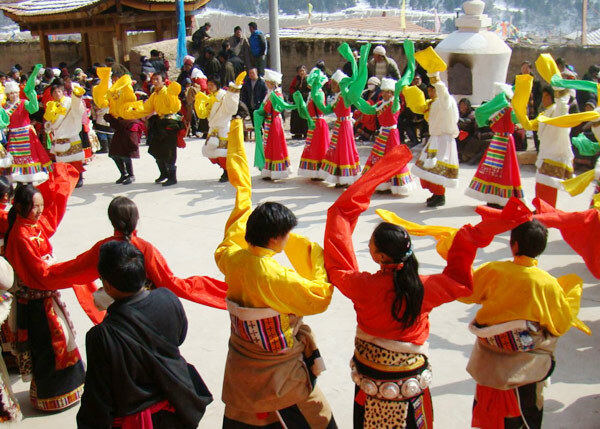 Losar is Tibetan New year festival. The festival represents the struggle between the good and the evil. The festival is celebrated by dancing, music and general partying. Mardi grass is a carnival celebration in New Orleans, USA. It is celebrated for two weeks. There is one major parade each day. This cultural festival has deep routes in the history of the region. Songkran is Thailand’s popular water festival. This festival is Thailand’s New Year celebration festival celebrated with great energy through out the country. The celebrations continue for three days. All these festivals provide immense fun and entertainment to the people.